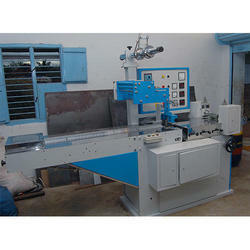 We take pleasure in introducing ourselves as leading firm by offering Flow Wrapping Machine. Vertical Flow Wrapping Machine are suitable for quick transporting and storing. They protect the packaging from dust and damp and also offer clean packaging. We offer these machines with the features like high efficiency, ease of operation and low power consumption. Flow Wrap Pouch Packing Machines are used to pack chocolate bars, chikki, gajak, soap, washing soap, cleaning bars etc. This machine comes with Batch coding and Tray conveyor and it is Manually operated. We are offering Flow Wrap Packing Machine. 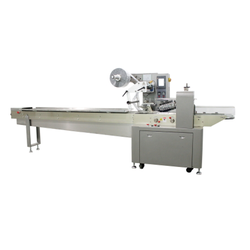 We are one of the most well-distinguished companies in the market that are into offering FLOW WRAPPING MACHINE.